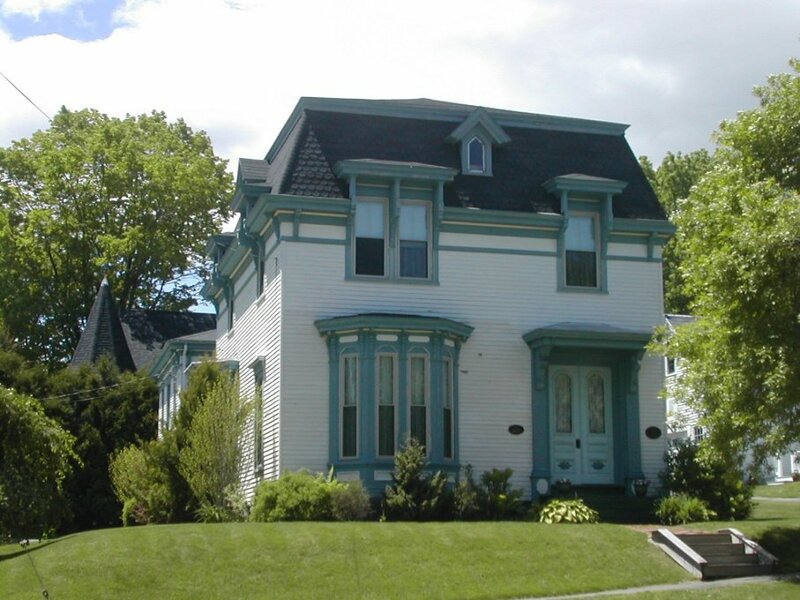 In 1873 several lots on Knox Street came up for sale and Edgar Stackpole purchased the lot at the corner of Knox and Hyler Streets. The cost of the lot was $600.00. 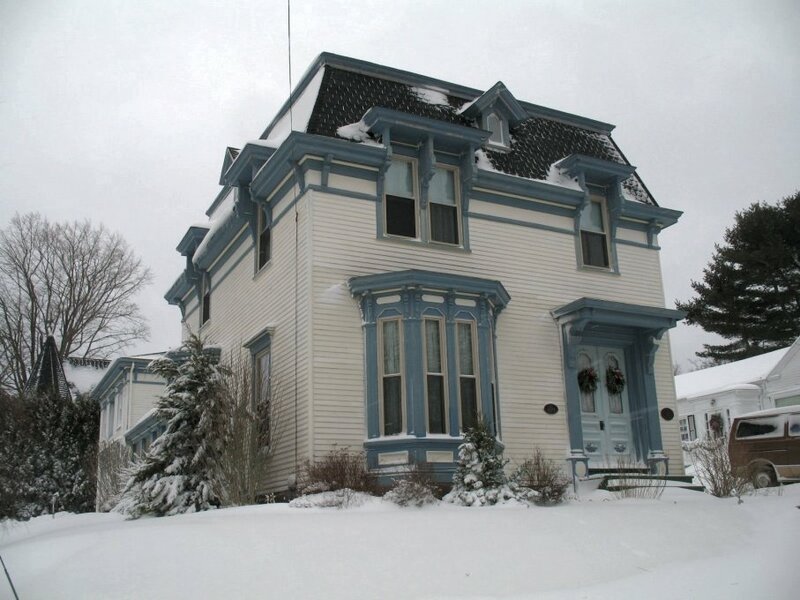 On October 2, 1873 Mr. Stackpole began digging the cellar for this dwelling. The eventual house was built with a French style roof and it was painted a tinted yellow color with darker trim, as it appears to this day although the trim color may have changed over years. It is presently a medium shade of blue. Mr. Stackpole owned a store at Mill River with his business partner, Joshua Linkin, Sr., and had another store where dry goods were sold at 11 Union Block. The house changed ownership over years having been sold to Charles A. Benner who then sold it to Lee Walker, who sold it to Mr. Marr, a cobbler. Bowdon Grafton and his wife Marion lived in the house when it was owned by Mr. Walker. 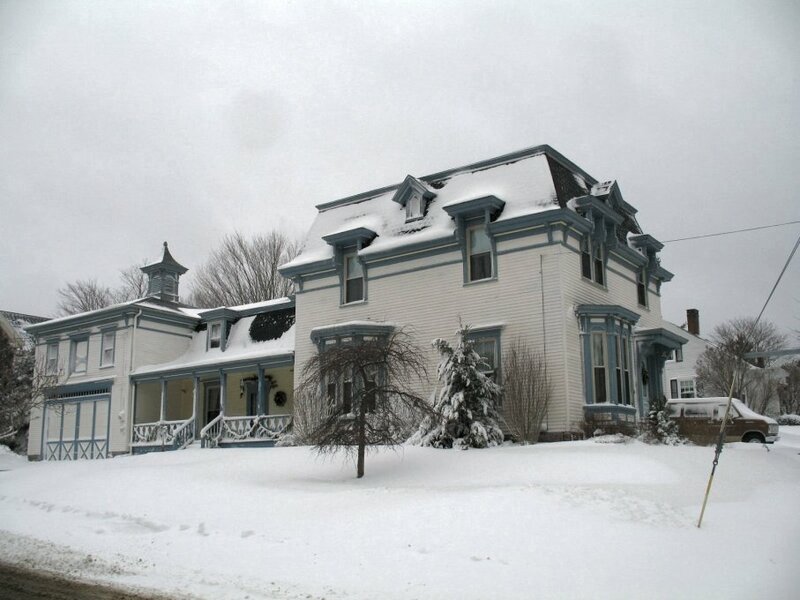 The house's present owners are Gerry and Mimi Zwick.